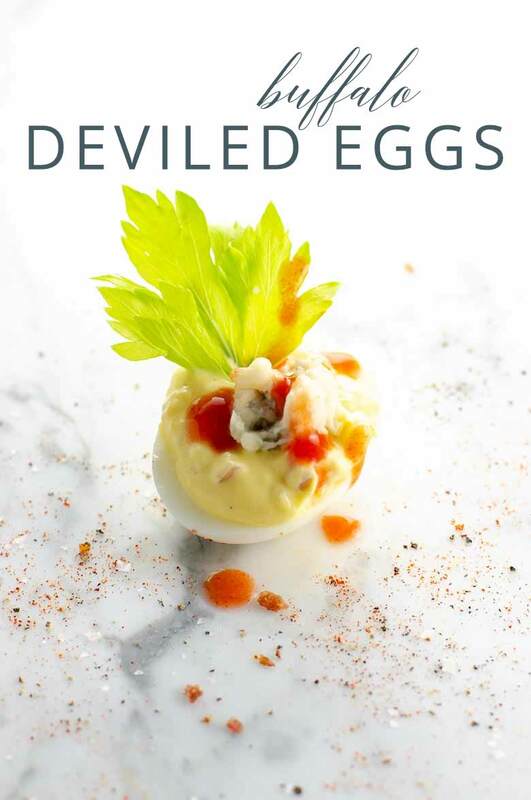 Buffalo deviled eggs incorporate the satisfying flavors of one American classic into another. 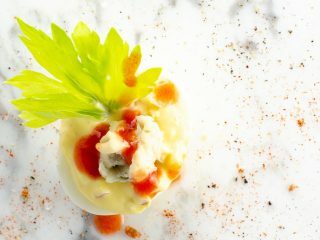 Blue cheese, Frank's Red Hot and a tender celery leaf dress these already perfect deviled eggs just as you'd dress buffalo wings. 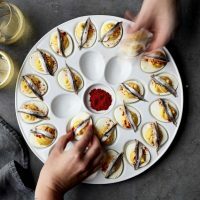 This deviled egg idea works equally well on a buffet whether you bring it to the table ready to eat or add the toppings to a deviled egg bar where guests can top their own eggs. 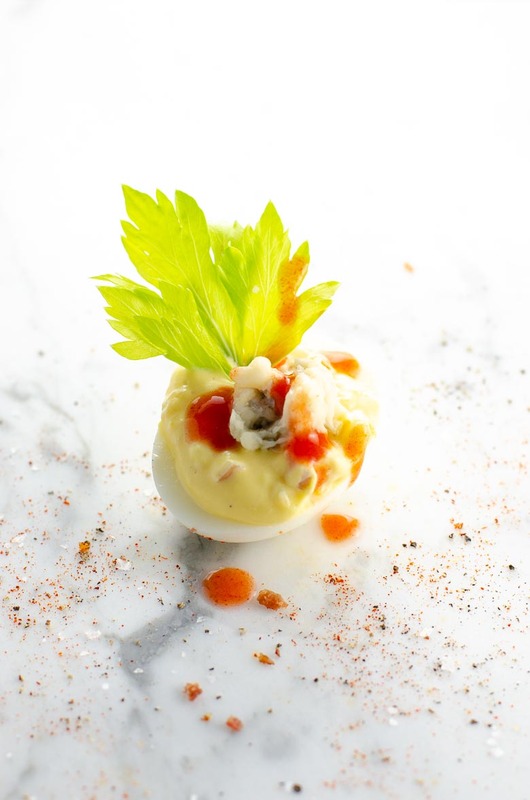 This fun take on deviled eggs could not be easier to put together. Begin with perfect hard-boiled eggs (and homemade mayo if you like, though to be honest I rarely do these days!) 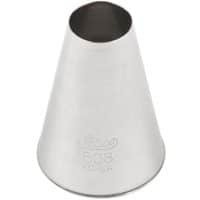 and this anytime buffet star will be ready in no time. 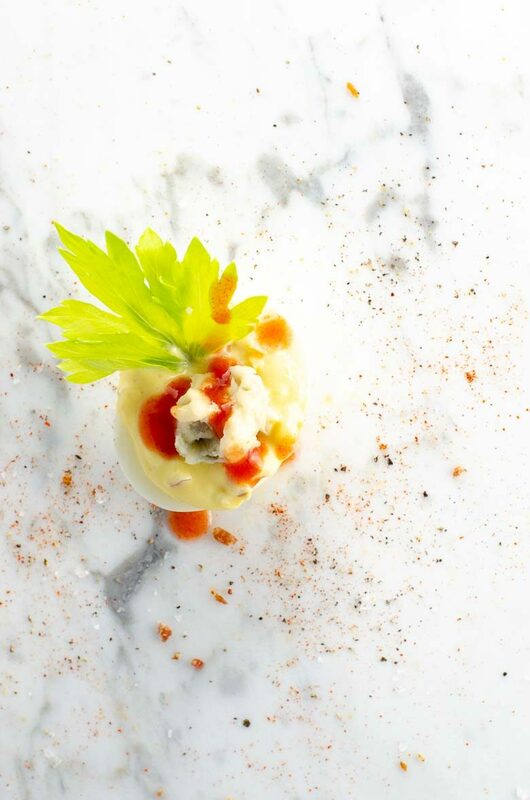 Garnish each egg with a piece of blue cheese, a generous amount of Frank's Red Hot, and a celery leaf, and serve.